This is the second time a Foley Family wine has been awarded a place on the Top 100 list, preceded only by the 2005 Merus Cabernet Sauvignon, which made an appearance in 2008 at No. 95. Lancaster Estate Wines have a rich history, and are representative of the best qualities Alexander Valley has to offer. 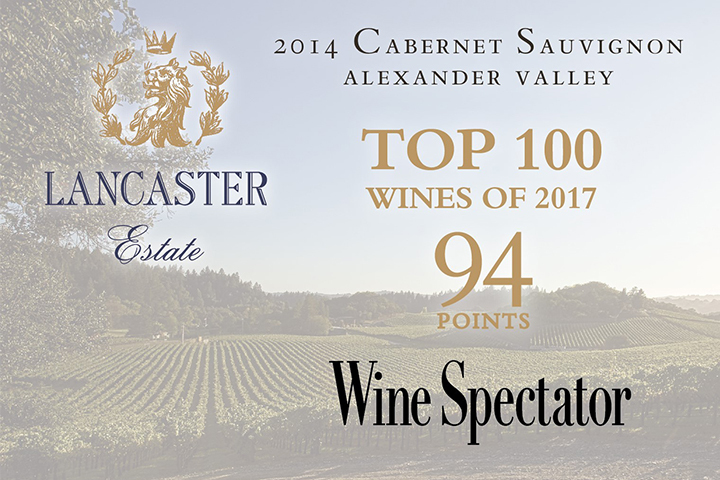 The 2014 is well deserved of its place on the Wine Spectator Top 100 List. It is a great honor, and we are beyond proud to share our 2014 Estate Cabernet with the world of wine.